Hang on to your taste buds! This dish is a taste explosion. Spicy, sweet, and tangy. It really does have it all. Okay, I won’t say it. This is NOT my favorite dish, ever, but it is pretty dang good for a summer night. 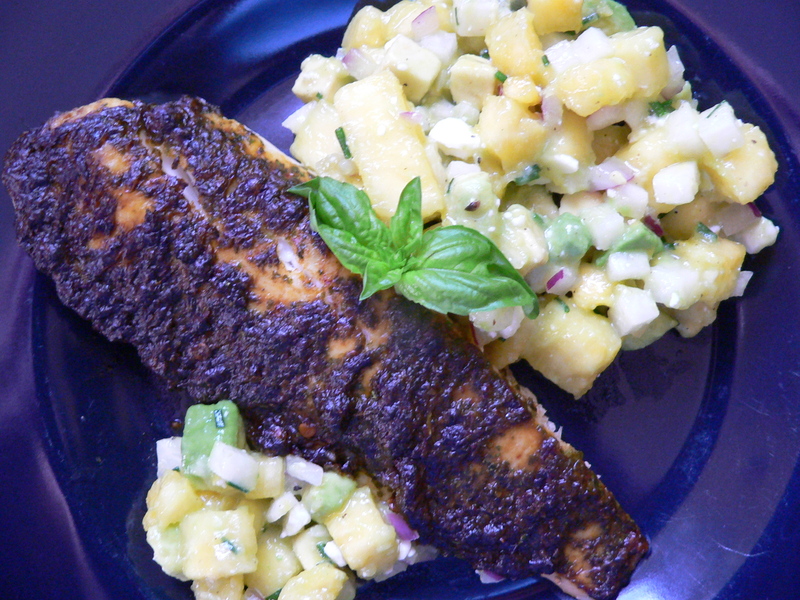 Plate fish and top with salad. Add fresh basil and pine nuts. Delish! 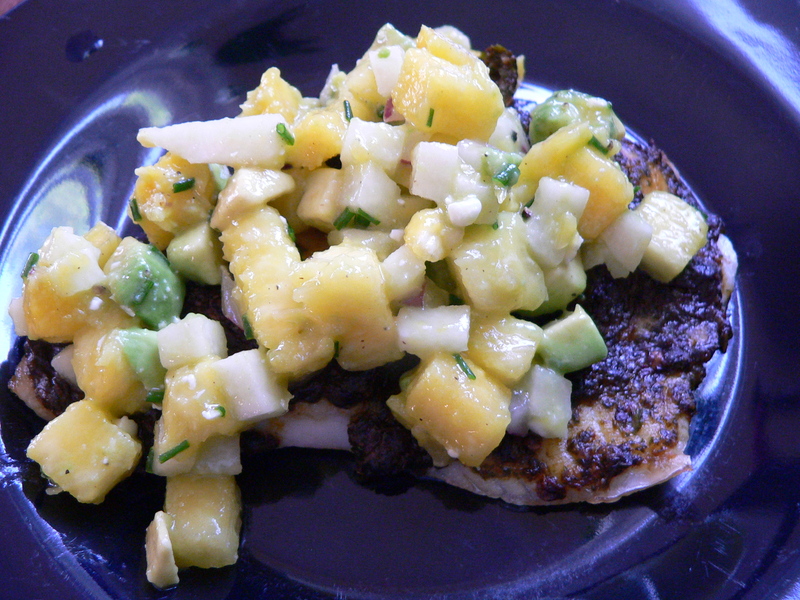 The Cilantro Chipotle Tilapia sounds amazing! I’d like to try but have never heard of “canned chipotles in adobo”. Where can I find them in Fort Wayne? Hi Cynthia- They have them at the Spice company, but hubby says he got them most recently at Scott’s.